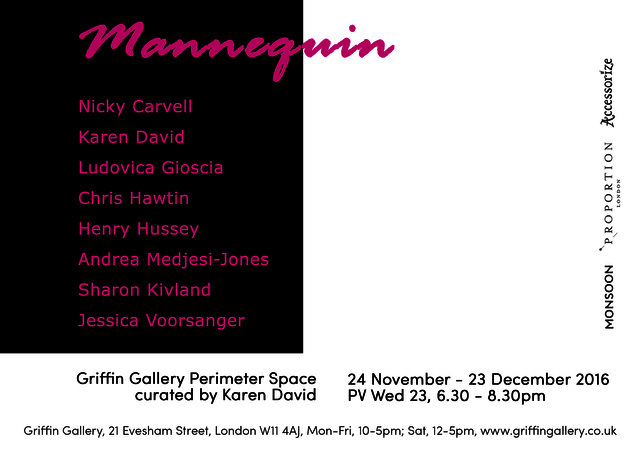 The selected artists for Mannequin explore practices ranging from painting, film, performance, and site-specific installation whilst sharing common connections to ‘fabric’ as a medium. 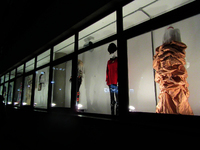 For this exhibition they have been given a singular rule to dress a mannequin in their own approach and interpretation. 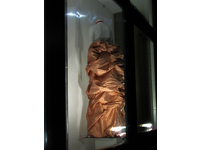 In a ‘post-medium-specific’ age where the significance of medium is negotiated, Mannequin invites these artists to carry their own concerns through this exhibition premise; utilising a window-dressing-mannequin as their supporting structure or blank canvas. In Kosuth’s words the ‘essence of art’ morphs from medium to medium. In 1974 Joseph Beuys, wearing his signature layer of felt, spent three days in a solitary space at the René Block Gallery, New York with a coyote in his now iconic performance I Like America and America Likes Me. For Beuys the medium of felt (alongside fat, sledges and walking sticks) reoccurs as a key material from his personal mythology. 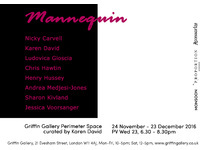 In a similar way Mannequin sees the artists presenting their own recognisable tropes; integrating found objects, consumer culture, the history of the figure and the politics of fashion, using their ‘visual shorthands’ to re-position our reading of these values and reinforce their own personal mythology. 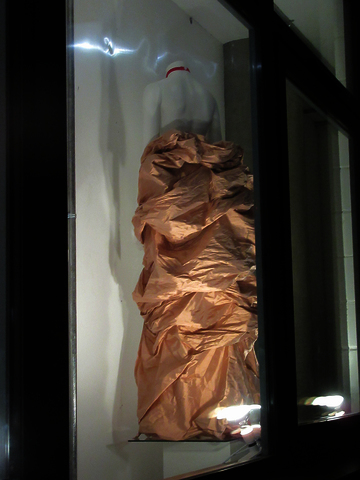 Kivland exhibited a work entitled 'Ma pouffiase', a bustle (tournure) in silk on a bustle pad (pouff) in velvet. 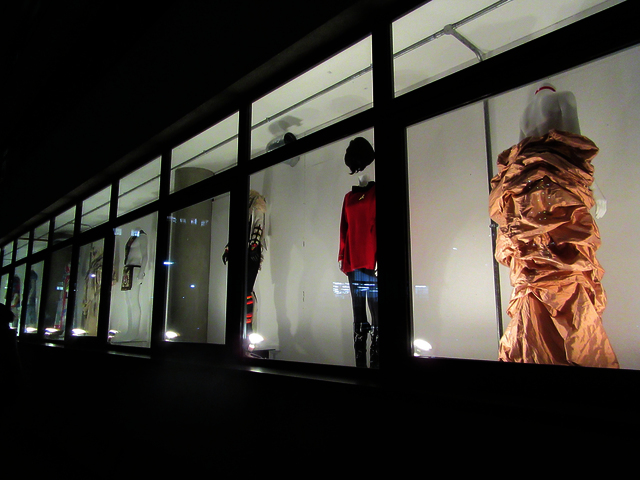 The mannequin wears a red velvet ribbon around its/ her neck, after the cut of the guillotine.